Automotive Lighting is a leader in the research, development, production and sale of a complete range of technologies for front and rear lighting, fog lights, head lamp cleaning systems, leveling systems, electronic components and central high mounted stop lamps. The Automotive Lighting business line was formed in 1999 from a 50-50 joint venture that merged the lighting technology divisions of Robert Bosch GmbH and Magneti Marelli Spa (Fiat Group). 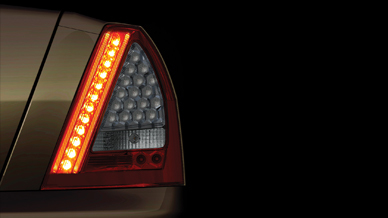 In 2001, after incorporating the Seima Group, a leading manufacturer of rear lights, Magneti Marelli became the sole owner of Automotive Lighting. Today Automotive Lighting has grown to be a global leader in exterior automotive lighting, and thanks to its commitment to developing innovative and high quality solutions, is the preferred partner of car manufacturers worldwide. The company produces more than 66.4 Mio pieces per year, including headlights, rear lamps, and other lighting components. It has more than 10,000 employees, nearly 1,000 of which are involved in R&D. 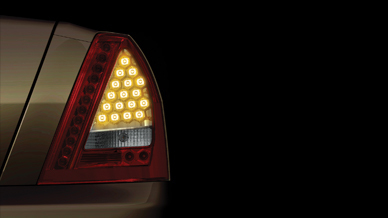 Headlamps and rear lamps are becoming increasingly important vehicle safety components. They are also strong brand indicators as they incorporate important styling elements that define the appearance and identity of a particular vehicle model, both during the day and night. The styling departments at Automotive Lighting work with their counterparts at car manufacturers to ensure these safety and brand elements receive precise attention to detail. Automotive Lighting Rear Lamps, a division of Automotive Lighting, has used Evolve since 2001 in three phases of the product development cycle: ideation, development, and visualization. One main function of rear lamps is to transport a message from the driver to following traffic and inform traffic about the driver’s action or intention. Another important function is to display the vehicle’s brand-specific styling as rear lamps are among the first elements to be recognized by following car drivers, especially at night. In the product concept phase, Evolve’s free-form modeling tools and integrated rendering functionalities allow for a quick styling of rear lamps. Delivering brand specific styling and rendering of rear lamps with data exchange to engineering CAD tools. Applying Evolve’s free-from modeling tools and integrated rendering. Automotive lamps are complex devices. These components are made of metallic reflectors, light bulb or LED sources, embossed and transparent elements such as polycarbonate lenses, that give the component a shiny aspect. This aspect is very complex to render into an image. Moreover, the rendering process must consider the double usage of automotive lamps (switched off during the day and switched on during the night). 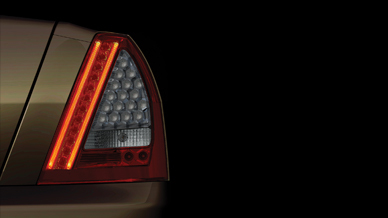 Evolve offers Automotive Lighting Rear Lamps a number of user benefits. It provides the ability to reliably exchange data with engineering software such as Catia V5. It also allows users to create and pinpoint new style solutions and leverage a best-in-class ConstructionTree history to save time when making changes to the design. solidThinking Evolve’s rendering engine also acts as a validation, analysis and visualization tool. Automotive Lighting Rear Lamps Italia is a Magneti Marelli company, www.magnetimarelli.com.